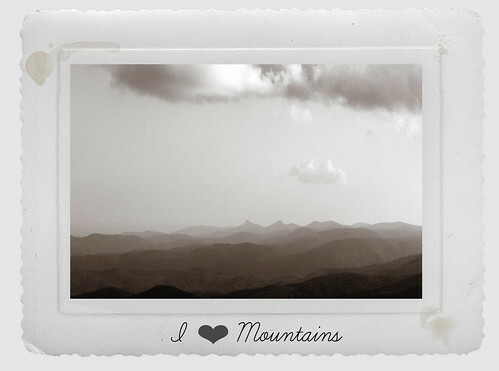 Wayfaring Wanderer: We Heart Mountains! I let this go a little longer than I initially intended when I started the campaign. What can I say, life gets in the way and other things take precedence. say that my mission was accomplished. so I gathered the list of cohorts from the I Love Mountains! comments in various posts. please let me know so that I can make the proper adjustments. I would donate $one dollar$ on their behalf to Appalachian Voices' cause. On top of the one dollar pledge, my plan was to match the pledges & donate one lump sum. After a super special offering from Liss (thru paypal), the pot rose to $45.93! And a big thank you to all others who were inspired to take action. but would like to know more, click here. + Still interested in signing up? Click the logo below to go to website. Thank you for bringing this to our attention! I Heart Heart mountains! yay! I'm glad you got a good response. I will have to check out the other blogs. What a wonderful post for a great cause. I am glad you got a good result. I want to see many more beautiful pictures of the lovely place you call home. You really need to give credit where credit is due. My husband has had the I Love Mountains emblem on his website forever. You probably didn't even know about this wonderful organization until you visited his website. I Love Mountains is very near and dear to my heart as well. I grew up in the mountains, and I've seen the devastation first hand. In Florida you probably don't have to worry about that. Anonymous: Living in Boone makes it hard to not have any knowledge about this organization and what it represents. Where I found out about it doesn't even make a difference, it's the fact that I do know about it that matters. I care most about making sure that others know about it too. It just takes one voice to call others to action. Great job! standing on the mountain top. Bravo! The more people that spread the word, the better! I just got back from one of thee best mini vacations ever. Camping at flintrock campground in Boone. I completely understand why you love it there. We traveled home by way of the blueridge parkway and were continually awestruck. I look forward to reading more of your blog and will definitely visit the link to I love mountains. I can't believe I found your post just after getting home.